About Us: WE ARE OPEN!!! Everything Vapor: Premium SoCal small batch e liquids, Starter kits, Mechanical Mods, VV/VW Mods, Tanks, Replacement coils, Drippers, Drip Tips, Batteries, Chargers and Rebuilds. We have a retail area and a lounge area. Come hang out and sample all of our different premium flavors. We are located conveniently next to a Greek restaurant, organic restaurant, dry cleaners, hair salon and nail salon. Come take care of everything in the same shopping center with plenty of parking space available. 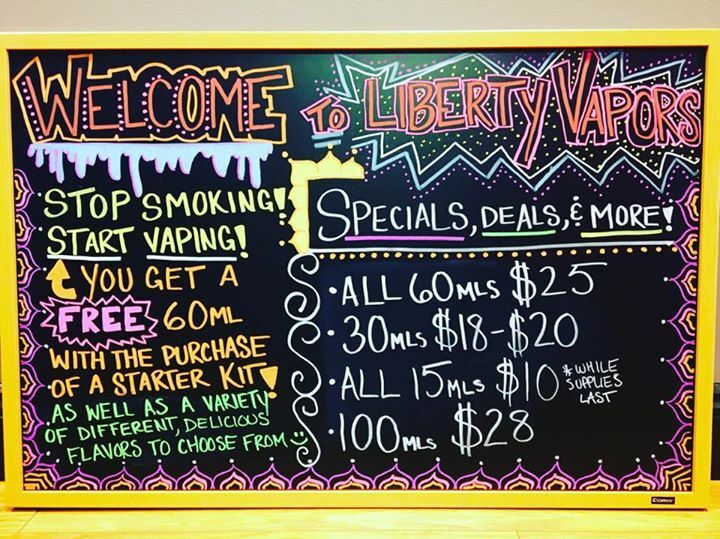 The only vapor shop in Ashburn! Baby Mags and Baby X Privs are here! New coils for the TFV12 Prince tank! Strip, Royal and Royal Mesh! 157 results, Page 1 of 16 pages.